The Chinese Lantern Skirts are designed to showcase beautiful fabric in a sophisticated style that works for day or evening. They are cut on the bias to be flattering for many body types. This style looks complicated, but is actually very easy to sew and wear. The pattern has 2 different looks; the circle which has a cowl in the front and the back, and the square with 4 cowls, placed at front, sides, and back. 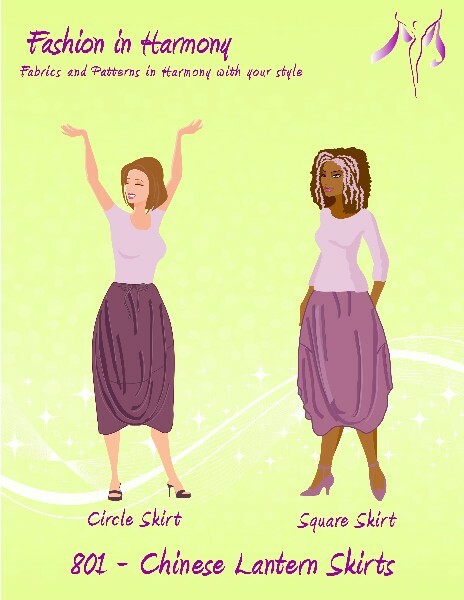 The square skirt has several options for adjusting the cowl drapes for multiple looks. 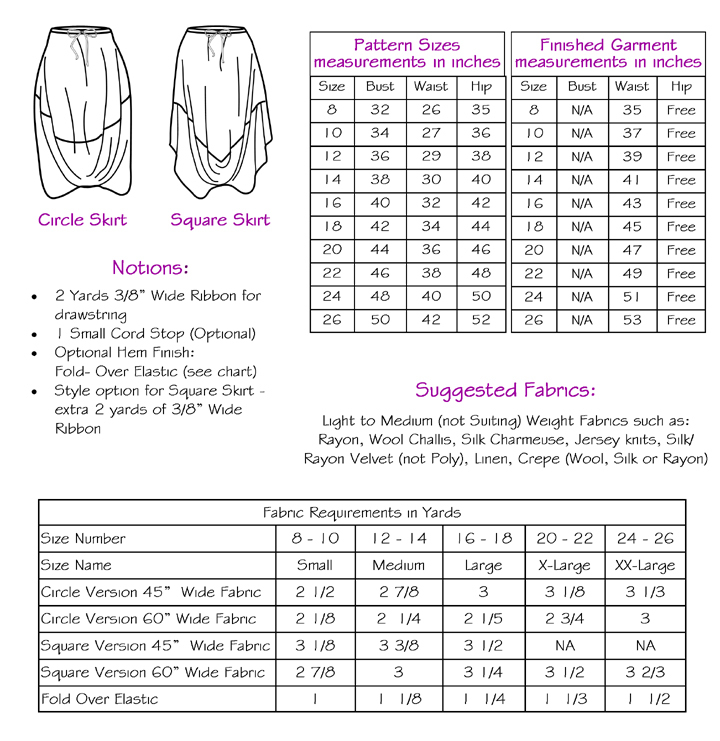 These skirts are suitable for many different types of fabric.